He’s the producer and founder of stuff. Go PB! As a young kid growing up in San Jose, Chris Manak soon realized he needed an escape from the realities of suburban life in the Silicon Valley. The age of nine was his coming of age. This was the year he discovered sports (Pittsburgh Pirates), video games (Pac man), girls (Anita Balderama), and hip hop (“Rappers Delight”). Alongside partner Sweet Steve, young Chris fashioned primitive mix-tapes (using the pause button) and ran amok at the local roller rink. He took on the name Peanut Butter Wolf in the late-80s when he realized that, in an odd turn of events, a girlfriend’s youngest brother feared the “peanut butter wolf monster” more than death itself. Wolf and his more conventionally-named counterpart, Charizma, began recording in 1989 when the two were still teenagers. Within three years, the duo signed a contract with Hollywood Basic (Disney) alongside label mates Organized Konfusion and DJ Shadow. Charizma and Peanut Butter Wolf were riding high, touring Europe, receiving press in magazines such as Billboard and (a then newspaper format) Urb , hanging with radio legends Sway & King Tech on Wake Up Show and performing live shows with groups like House of Pain, Nas and The Pharcyde. Then, in December of 1993, Charizma tragically lost his life. Stunned, Wolf temporarily gave up on music. After releasing the song “Just Like A Test” with Charizma for David Paul’s Bomb Hip Hop Compilation early in 1994, Upstairs Records, a label known primarily for house music, approached Wolf to record an instrumental LP. Thus, the Peanut Butter Breaks was born; the record became the Wolf’s calling card, leading to meetings and collaborations with like-minded DJs like Q-bert, Cut Chemist and Rob Swift. After the release of Peanut Butter Breaks, PB Wolf found himself in demand as a producer. 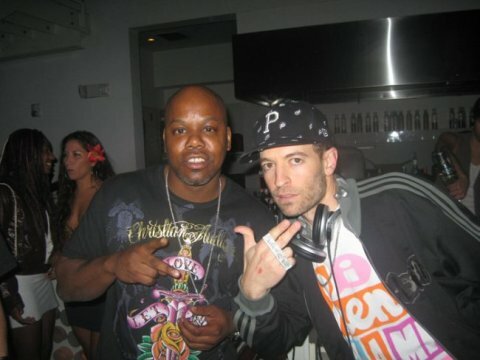 His track for the all-scratching compilation Return of the DJ was labeled “incredible” by The Source magazine. He released a 6 song compilation for South Paw Records in 1995, featuring collaborations with up and coming San Jose MCs. He also produced Kool Keith’s first single as a solo artist “Wanna Be A Star.” These releases, amongst others, led to a picture disc EP for British label 2 Kool Records. In 1996, Peanut Butter Wolf founded Stones Throw Records. Charizma’s posthumous “My World Premiere” was the single to launch the label. A few highlights in the beginning were the songs “Unassisted” by Rasco, Super Duck Breaks LP by DJ Babu, and hip hop 7” series. Lately, PB Wolf has moved away from producing (save the odd remix or compilation track) to build the Stones Throw label and to travel as a DJ to Europe, Japan, Australia, Canada, and across the US. Through his willingness to experiment and provide Stones Throw’s artists with musical carte blanche, he has overseen the releases of Lootpack’s Soundpieces, Quasimoto’s The Unseen, Breakestra’s Live Mix, Yesterdays New Quintet’s Angles Without Edges, Madlib’s Shades of Blue, and Jaylib’s Champion Sound. wezzzzz gonna make maddd records wit dat cat.